Warsaw, November, 29th, 2012 – The project of FASHION HOUSE Outlet Centre Moscow was awarded with an Award of concordance to ecological standards CEE Green Building Awards, nomination BREEAM Application In-Process (Commendation). The Awards Ceremony took place during Investment and Occupier Forum in Poland. BREEAM certificate highlights buildings, whose design, development and exploitation correspond with ecological standards. Foreign companies are already using green technologies in the development of not only of civil houses but also commercial real estate. “We are just entering the Russian market and since FASHION HOUSE Group is one of the first companies participating in establishment of the outlet sector in Russia, it is important for us to set up a right level of operation and take the leading role. BREEAM Award that was given to our first project in Moscow is very important to us”, – comments Managing Director of FASHION HOUSE Group Brendon O’Reilly. Organized by the Green Building Association for the Central and Eastern Europe (www.ceegbc.ru) and Europa Property Publications, annual award CEE Green Building Awards took place for the second time. The members of independent CEE Green Building Awards jury are commercial real estate professionals, working in the region of Central and Eastern Europe. On November, 28 th they came together in Warsaw to cast their vote for the winner in each category. Ernst & Young audited the final vote. The award was given out by speakers and panelists from Investment & Occupier Forum. The Ceremony consisted of two parts. First half of the day was devoted to Investment & Occupier Forum with three panel discussions on sustainable development, investment, development finance, occupier’s needs and future requirements for office, warehouse and retail. In the evening during the gala CEE Green Building Award was given out. More than 400 attendees visited the Forum. Portfolio of the FASHION HOUSE Group includes a number of successful projects of outlet centres in Poland and Romania with gross leasable area of 70 000 sqm. In 2007-2008 three polish outlet centres (in Sosnowiec, Warsaw, Gdansk) were sold to Polonia Property. Fund II Ltd. Today FASHION HOUSE Group is currently expanding into the Russian market, developing projects in Moscow, Saint-Petersburg and Yekaterinburg. Furthermore, the company is developing another project in Bucharest with gross leasable area of 84 000 sqm and also plans to expand into the Ukrainian market. CEE Green Building Award is the only event dedicated to sustainable development in the region, features post, present and future projects. Green technologies are gaining more significance for both developers and investors in the CEE region. The Award is organized by ”The Association of Green Building Professionals” (Central and Eastern Europe). The award winners are the developers and owners of the properties that have achieved a rating from BREEAN or LEED, or similar certification, or are in the design pre-approval stages. FASHION HOUSE Group is a leading player in the European outlet sector and the largest developer/operator in the CEE and Russian markets with a proven track record of establishing the outlet sector in emerging markets. 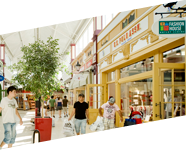 The Group receives institutional recognition and awards for both the development and management of Outlet Centres. 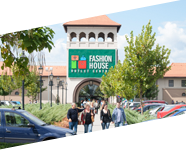 FASHION HOUSE Outlet Centres have won the Europa Property CEE Factory Outlet of the Year in 2008, 2009 and 2010. 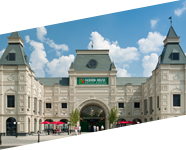 The first FASHION HOUSE Outlet Centre was opened in 2004 in the southern Polish town of Sosnowiec, near Katowice. Nowadays, FASHION HOUSE Outlet Centres offer over 250 international brands to 10 million customers on a total lettable area of over 70,000 sqm in Poland and Romania every year. Furthermore the company is currently developing its second project in Bucharest, and is expanding into the Russian and Ukrainian markets with projects located in Moscow, St Petersburg and Yekaterinburg, which gives a total lettable area of 84,400 sqm under development. 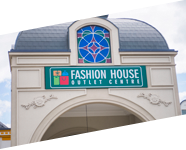 FASHION HOUSE Outlet Centres offer consumers a unique discount shopping experience – top quality international and domestic brands are available all year round for 30-70% less than original prices, within buildings of a unique architectural theme. This shopping environment distinguishes them from any other local shopping scheme: from a 19th Century street with railway architecture, through a traditional fishing village with its own lighthouse to a replica of Warsaw or Bucharest “Old Town” facades. FASHION HOUSE Group is a fully integrated company consisting of two main business units: Development and Management. Development has in home all the professional skills that are needed to fully and successfully develop a top-of-the-range outlet centre according to the FAHION HOUSE concept. But since the real estate is only half of the project, a highly skilled outlet Management team is meant to make the centre successful. As a provider of management and operations services the company has a portfolio of nine outlets including three non-FASHION HOUSE branded sites in Switzerland, Serbia and Slovenia. FASHION HOUSE Group also franchises its know how to third party investors/developers. An ideal formula which allows for FASHION HOUSE Group to accelerate its growth and for the investors to decrease the risk and increase the profitability.